Would you fill your name in profile? Initially I didn't create a "name" field for the user profile figuring that people prefer to make usernames and be more anonymous online. But as many people have mentioned their names and posted pictures of themselves, I wonder if it is any longer necessary. Furthermore simple first name usernames are getting used up and over time the possibility of other people with same name repeating is likely (but they won't be able to have a username based on their name). 1) add a name field for the profile? 2) show the name under the avatar along with username? 3) make it a mandatory field? Whether people put in their full name, intial, or just first name is up to them, but I'd like to know if people would find this helpful or not? Please vote and let me know if I create this field if you would fill it in? I don't mind you adding it but if it is full name then I am not sure about mandatory... Although you can always have it as an option in your profile whether to show it or not? Letting people choose whether or not to display it in their profile is silly. They may as well just not fill it in rather than to submit it but then mark not to display it. The way people fill the name in is up to them but I'd like to know if people are interested in having a name box or not? I like addressing people by their user name. They're unique. People already have the option of putting their name in their signature if they choose to do so. Also if we start referring to people by the "name" they provide it would start to get confusing as more people start posting that have the same name. Yes, they might be able to put John, and the next person can put J. Smith, but when you sign up you don't know if somebody already is using that form of the name. Also it seems a little repetative. We already choose our "name" when we create our User Name. Why come up with two names? 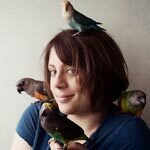 Some people use the name of their parrot or just online pseudonym username. Just as an example entrancedbymyGCC is Deborah. This is why I ask if we should have a space for the human owner's actual name. Feel free to disagree and/or vote no. If there isn't enough interest, it just saves me the work of setting this up. I do see the point to it. I was just writing down my thoughts and it might be confusing at first, especially for new members. I really don't care either way though! I don't see an issue with this and would add my first name. I said no, but quite frankly I don't really care. I obviously chose to put my first name as my screen name. 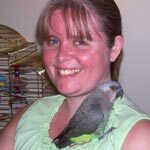 On other forums, I generally put one of my parrots' name. They also generally have the field of the first name optional and I generally don't fill it up if I used another name as my screen name, unless I've been an active member of the forum for a while and everyone knows my name anyways. I agree with Izzver. I've found on other forums that as people got to know one another over a long period of interaction it becomes more and more useful to know at least a first name. I'd never make such a field mandatory, and I wouldn't encourage last names, but having it available I think is good. Same with physical location -- I like to keep it general ("Southern California" or "La-la land") but it is nice to have some sense of context. As a counter-argument to the name box proposal I'd like to add that for the people that DO use their name as username (ie me) it would be kind of stupid/redundant to fill in the name box and have my name twice in my info/profile. So far things look pretty split so unless I see any strong support for a name box, I'll just maintain the status quo.